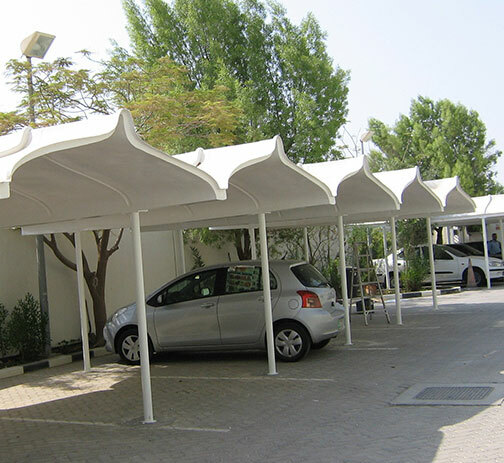 AKAA Tents and Sheds LLC manufactures GRP Car parking shades in UAE by using superior quality materials that are characterized by their high efficiency and strong durability. These Sheds are easy to install and maintain. They are available in various dimensional specifications. Our company manufactures a qualitative range of Car parking Sheds, which have superior quality and longer service life, easy to install and are maintenance free. AKAA Tents and Sheds LLC offer these products in cost effective manner at market leading prices. These sheds are suitable for all kinds of weather and available in various sizes and shapes. The wide varieties of GRP car parking shades in Gulf regions are readily designed in standard dimensions for immediate installation. This type can be installed individually or in series form depending upon the specified plan layout for the shade. 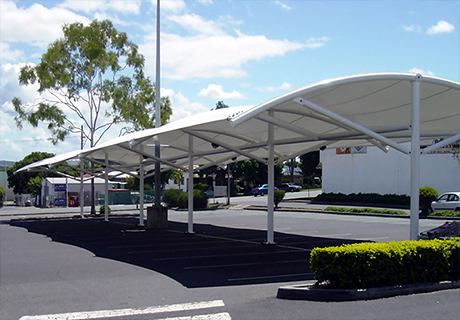 Our car parking shade of superior quality with good quality material for strength and durability and with the fabric of special quality in variety of colors within affordable/reasonable rates. These shades are design for maximum protection of the vehicle from the sun rays and may be use as convenient alternative of traditional garage.